If you at all followed my writing on my old blog you know that I am a fan of Rebels, the Star Wars series shown on Disney XD. If you haven't watched it yet, you really should. While some have complained about the heroes impregnable plot armor or the incompetence of the Stormtroopers on the show I find that the show is a lot of fun and tonally fits in really well with the space opera themes of the rest of the Star Wars Universe. Most importantly though, Rebels has been a tremendous source of new content for Armada. So, I thought I'd take a look at what the show has given to Armada and what it might add in the future. 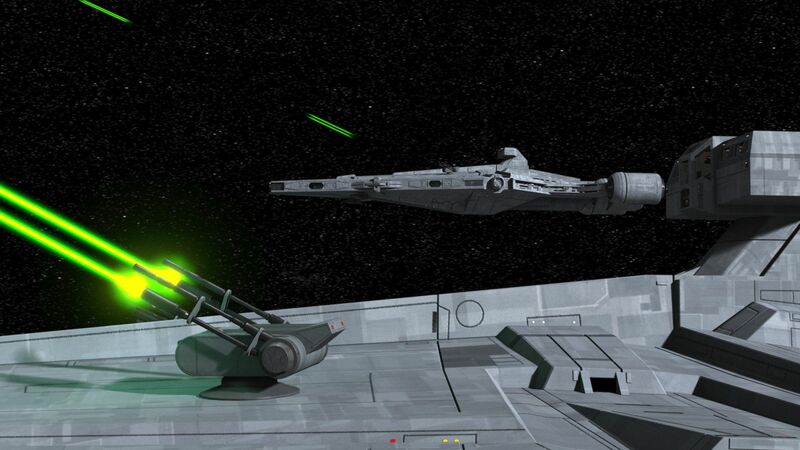 Rebels (and its predecessor The Clone Wars) have been a big influence on Armada. This really makes sense when you consider the amount of content that it can present relative to a movie. As awesome as Rogue One was, it ended up being only 2 hours of new Star Wars content. A season of Rebels has more than 10 hours of new Star Wars content. That gives the animated shows many more opportunities to add new characters and ships. It is also different from the novels in that the images produced for the show are really helpful in creating the game pieces and cards. That new ships appear on screen in Rebels is why I doubt we will see any old EU ships that have never had an on screen appearance. It makes sense for both Disney/Lucas and FFG to produce models of ships that are on screen from a marketing standpoint. People are more likely to buy something that they recognize. If Armada was created as a new show today I doubt the Gladiator, Assault Frigate, Screed, or Garm would make it in. Those same abilities might appear still on cards, but would have names of ships and characters from the new on screen canon. What has been most striking to me when I reviewed the content of Rebels, was just how good it has been in giving options to Imperial players in Armada. For those of you that haven't seen the show I thought I would give you a spoiler-lite run down of where these new characters and ships come from. 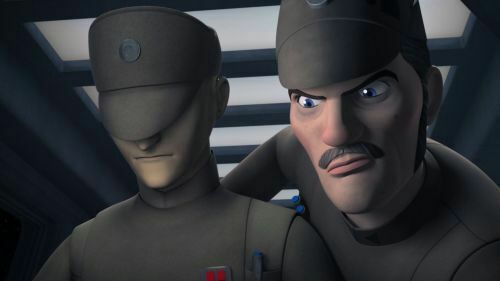 Commander Sato - During Season 2 of Rebels the crew moves from being an isolated cell on Lothal to part of a sector wide group called Phoenix Squadron. Sato is the leader of Phoenix squadron and the group works with him to plan missions and coordinate against the Imperials. Pelta - The Pelta first actually appeared in an episode of the Clone Wars as a medical transport. In Rebels it appears in Season 2 as the flagship of Phoenix Squadron appropriately called, Phoenix Home. It is used as a command ship, but it is hard to get much of a feel for its combat abilities. Hera & The Ghost - As part of the main crew in Rebels, Hera and her ship the Ghost see plenty of screen time. The Ghost is a larger ship than the Millenium Falcon and is even shown hauling cargo around like a real freighter. Hera ends up becoming one of the squadron leaders in Phoenix Squadron and by the time of Rogue One has been promoted to General Syndulla. Given her role as a squadron leader Hera's ability in Armada seems very appropriate. Fans of Rebels were excited to see the Ghost on screen in Rogue One. Ketsu & Lancer -Ketsu and her ship, the Shadow Caster, show up in Season 2 of Rebels. Ketsu is a bounty hunter and former partner of series regular Sabine. I think Ketsu's Armada ability is supposed to represent the Shadow Caster using tractor beams to slow other fighters. Ahsoka - Ahsoka was originally a major character in The Clone Wars as the apprentice of Anakin Skywalker. She was not very popular originally, but showed enough growth to become a fan favorite. 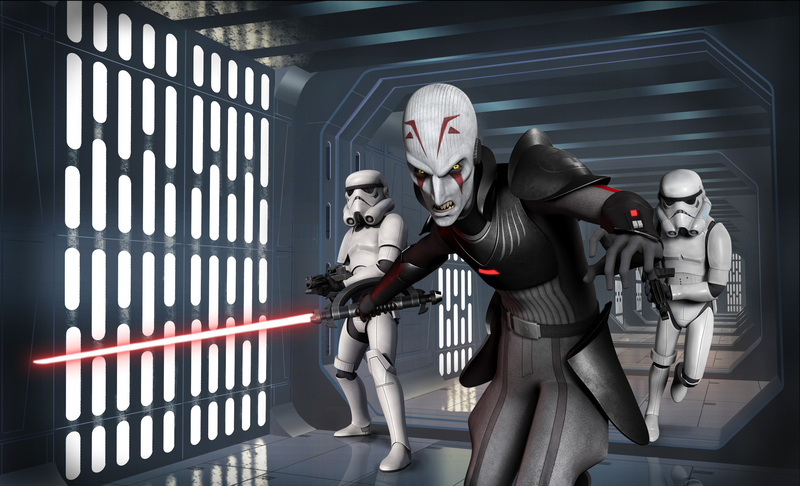 She comes into the second season of Rebels and has an excellent arc that has learn about her former master. 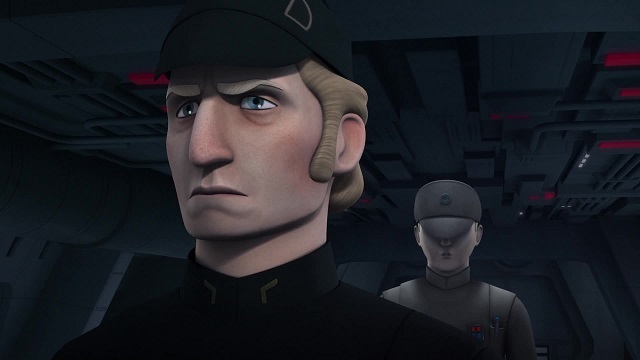 Admiral Konstantine - Konstantine is the primary leader of the Imperial Navy in Season 2 of Rebels. He is a stereotypical Imperial officer in the vein of Needa or Ozzel. He seems to be more of a political appointment than having any real tactical ability. Nothing in the show seems to match up with his Armada ability. 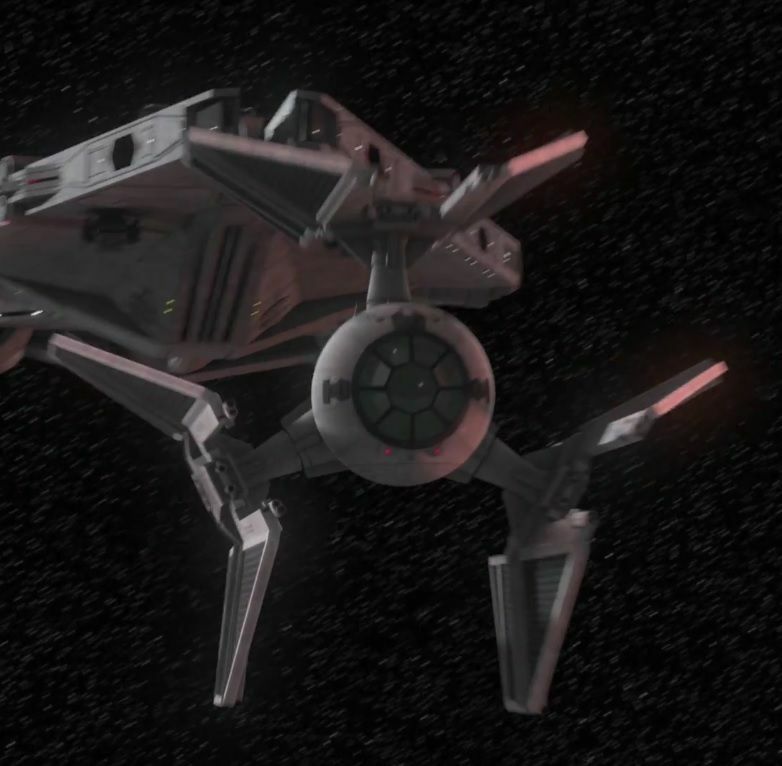 Interdictor - The Interdictor was a fan favorite from the old EU that Rebels brought to the screen for the first time. In the show it uses its gravity well projectors to pull Rebel ships out of hyperspace where they are captured. Initially it is only a prototype, but later shows up in numbers. Gozanti - The Gozanti has appeared in other Star Wars media as a transport. In Rebels it has been modified as a light carrier for Imperial use. 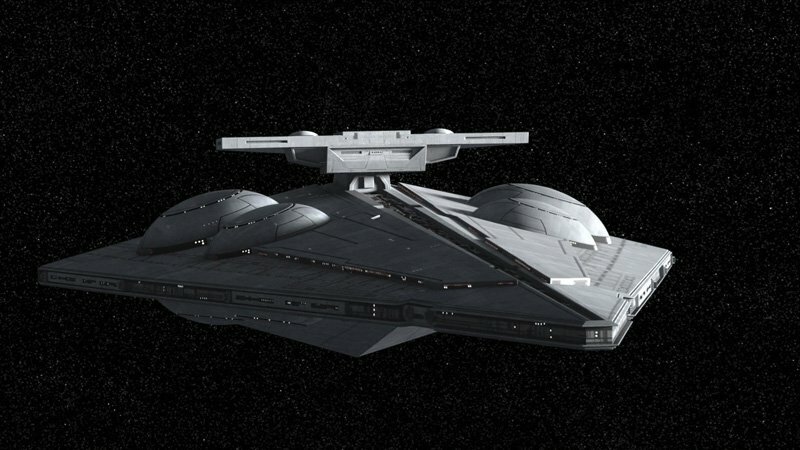 It provides a threat to the Rebels crew without having to always pull in a Star Destroyer. The Imperials use it in a variety of roles from space combat to transporting AT-ATs to a planet's surface. Arquitens - Although it first appeared in The Clone Wars, the Arquitens has become a Rebels staple. Most noteworthy being an episode where a pair of them were easily able to destroy a Rebel CR-90. TIE Defender - First appearing in a video game expansion back in the 1990's, the TIE Defender has had a dedicated following ever since. Rebels marks the first time it has been brought into the on-screen canon. In the show it is actually a design of Grand Admiral Thrawn's who also had some ties to its original video game origins. Valen Rudor - A TIE Pilot that the Rebels tangle with throughout Season 1. He was the first test pilot for the TIE Advanced prototypes being built on Lothal. Minister Tua - An Imperial government official that really believes the Empire is doing good. Commandant Aresko - A bumbling idiot of a bad guy that chases the Rebels in Season 1. His antics belong in a kids show. His method of death does not. 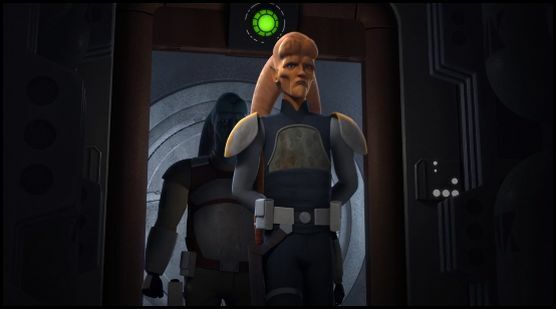 Agent Kallus - One of the chief antagonists in Rebels. He starts as a bit of a stereotype, but his character is allowed to develop over the series. His Armada ability fits his role as an ISB officer charged with hunting down Rebel leaders. Admiral Titus - Titus is the officer in charge of the Interdictor prototype. I suppose his ability fits well with that. Hammerheads - These ships trace their roots back to designs from the Knights of the Old Republic video games. In the show, Leia delivers them to Phoenix Squadron to help offset some of the CR-90s the group had lost in combat. They went on to appear in Rogue One. There are some variation between the Rebels and Rogue One versions of the ship and Armada appears to be getting the Rebels version. Quasar Fire - In Rebels the Imperials use the Quasar Fire to launch TIE Bomber attacks on the Twi'lek homeworld of Ryloth. The Rebels eventually capture the ship and use it as their own carrier. Some have speculated it could be a dual-faction ship at some point, but I doubt it. Hondo Ohnaka - Another character brought forward from The Clone Wars. Hondo is a smuggler who provides the Rebels crew with information when they go looking for weapons. The voice actor also played Minsc in the Baldur's Gate video games and I always want to hear him yell "Go for the eyes Boo!" Cham Syndulla - Cham is a freedom fighter on the planet Ryloth. He fought Separatists in The Clone Wars and Imperials in Rebels. He is also the father of Hera. he eventually joins up with the Rebels and helps in their planning. Grand Inquisitor - A fallen Jedi that now hunts force users for the Emperor. He answers directly to Darth Vader. Although the spinning lightsaber is hokey, he provides and good menace for the Rebels. 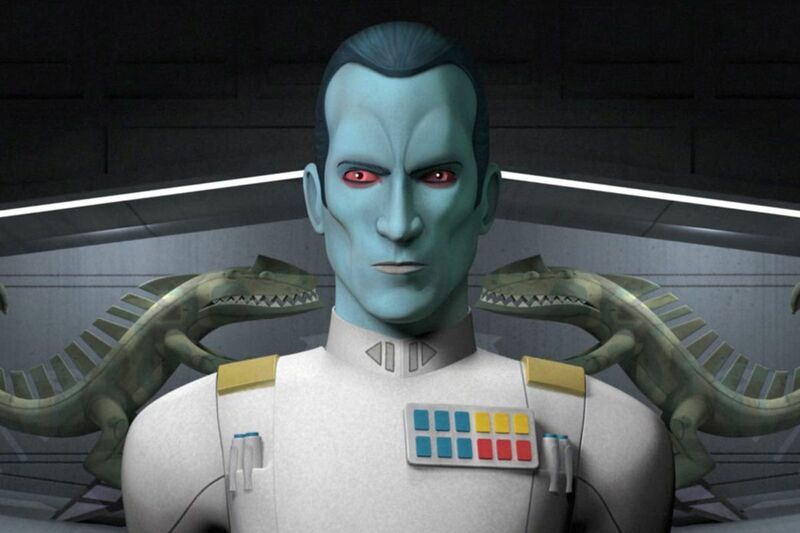 Of course the hope of many Armada fans is that Grand Admiral Thrawn will eventually make an appearance in the game. 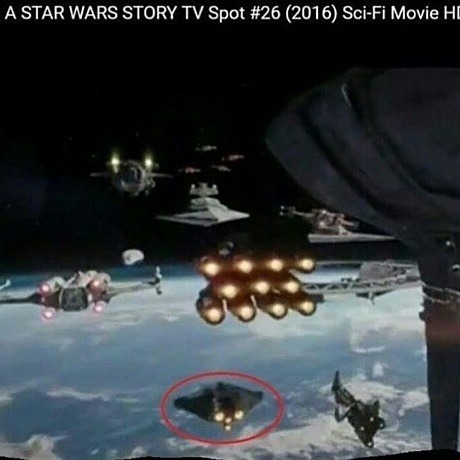 His arrival as a key villain in Armada makes that seem even more likely. He was one of the most popular characters in the old EU and it was great to have him brought into the new canon. Hopefully Thrawn and his ship, the Chimera, will make it to Armada soon. Anyways, hopefully this was a useful resource for Armada players that haven't yet had the time to check out Rebels. Don't forget the Braha'tok-class gunship now seen in Rebels. I'm still hoping we'll see the Gladiator or a Raider in the last season. About Konstantine... There's that one time where he wants to trap Hera using tractor beams from 2 ISDs, but ends up catching Vader instead. 2 big ships. One speed change. There you go, inspiration for his ability!